Since making the Cheeky Monkey smoothie, we’ve been experimenting with all kinds of fresh juices and smoothies at Chez Bangers. This one is currently one of our favourites. I wasn’t sure my children would like the idea of a smoothie made from dried figs, so I told them it was a honey smoothie. They gulped it down in seconds and demanded another. They also asked whether there was chocolate in it. I guess that’s partly due to the colour, but the fig does give it a lovely richness which isn’t all that dissimilar to a chocolate smoothie. Place the figs in a glass and cover with milk, around 50ml. Leave in the fridge for 2-3 hours, or even better overnight, to allow the figs to become all plump and squidgy. Simply pour the figs, along with the milk in which they have been soaking, together with the rest of the milk, oats and honey into a liquidiser and blend well until smooth. 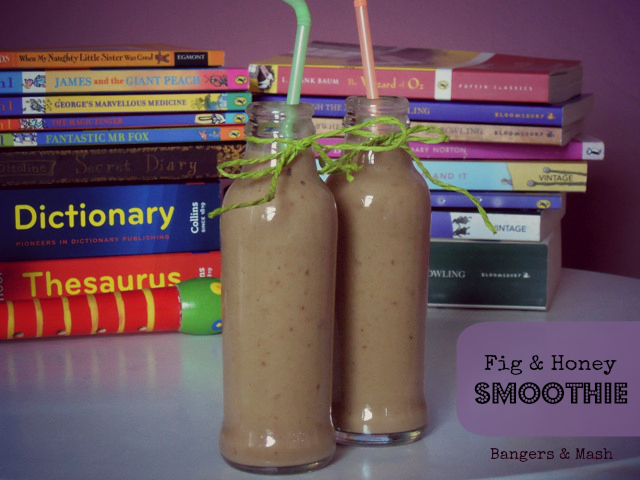 As my fig and honey smoothie is a great way to sneak some extra goodies into your children’s diets (and your own while you’re at it), I’m entering it into January’s Family Foodies challenge, where the theme is Hidden Goodies. I bet it would. They worked well in the Cheeky Monkey! Yummy!! 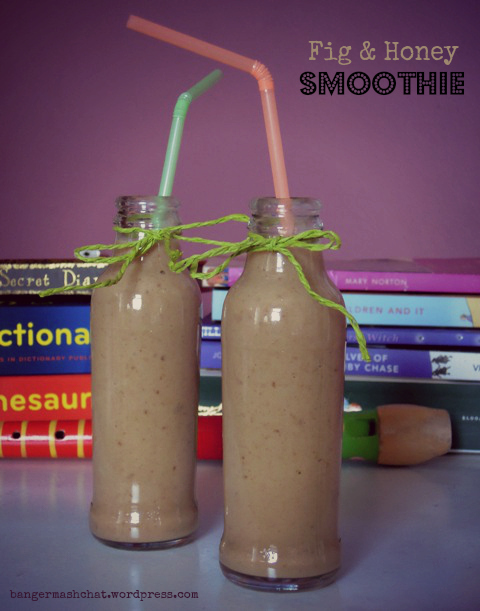 Such an amazing idea adding dried fruit to a smoothie, and it looks so appealing too. However my kids are both adverse to smoothies, they’ve never liked them. Odd I know, but then I haven’t tried them lately. Funnily enough I’ve FINALLY been re-united with my FBC goodie bag and my Greek nomad box which Jacques had a good scour through this afternoon. After a sniff and poke at everything he decided to devour a quarter of my precious packet of dried figs which when fresh he adores but this was his first sampling as dried! Looks wonderful – you’re right, very chocolatey. I have some figs still in the freezer from our late summer fig glut last year, wondering if they would work in a smoothie? I was going to ask about using fresh figs too. Great idea about freezing figs. I use frozen berries but hadn’t thought to freeze my figs! This is right up my street Vanesther! 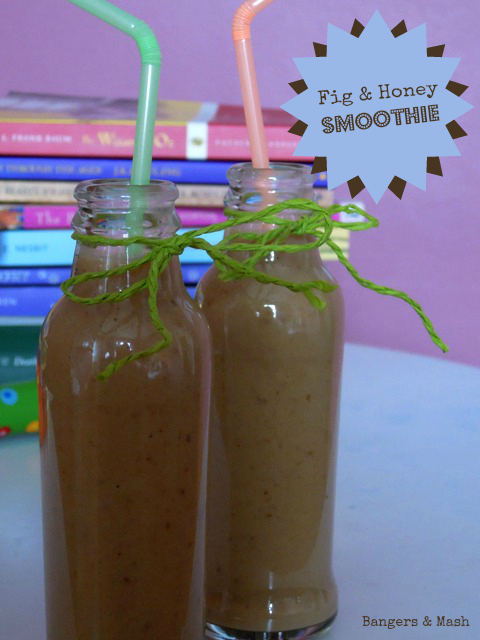 I adore figs but hadn’t thought to use them in a smoothie, I’ll be trying this really soon.